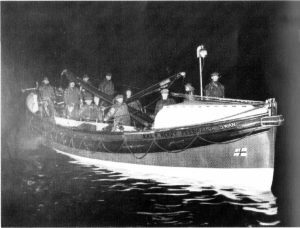 The Henry Frederick Swan was purchased by the North East Maritime Trust in 2005, as a long term restoration project, with the objective of bringing her back to her original Royal National Lifeboat Institution operational condition. 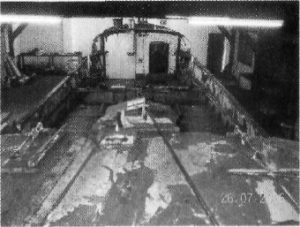 Following a condition survey, the 89 year old boat was found to be structurally sound, but with a number of problems of rotting timbers and rusted metal work. All fittings and engine were removed and she was stripped down to the bare wood. A restoration plan was compiled and work began on the restoration in 2006. 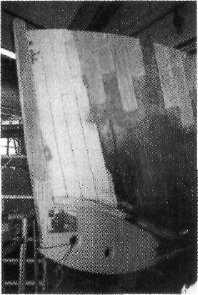 Rotten hull planking has been replaced, the fore and aft end boxes have been restored and new stem and stern posts and rudder made. All original metal fittings, including the steering gear have been refurbished and where this was not possible, new fittings manufactured in the workshops, such as the drop keel and housing. The diesel engine has been completely stripped down, reconditioned and rebuilt. New sails have been manufactured by a specialist sail maker. The aim is to complete the restoration and get the Henry Frederick Swan back into the water in 2017, a 100 years after she was first launched.